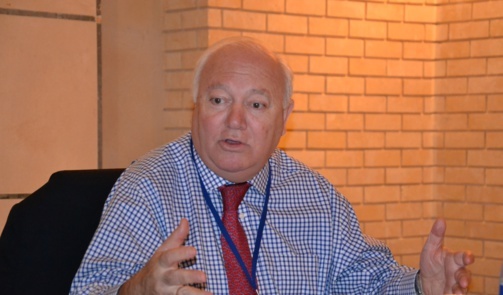 Miguel Ángel Moratinos : For a few years now, politicians have been looking again at the key issues, but also the opportunities, in the Europe-Africa scenario. However, for Europeans, there still exists considerable confusion and increasingly attendant contradictions and a lack of vision to -at the very least- try to understand the issues. Present policies prefer to address the ongoing day-to-day crises, with no overall strategy. It’s disappointing. How do you explain this lack of vision? M.A.M. : The current problems are nothing new. Security, political instability, lack of democracy, migrations, economic disparities, terrorism, food security, protection of the environment… the Southern Europeans have been aware of all this for a long time. To such an extent that, in 1995, they launched the Barcelona process. However, we have failed to find a permanent solution to all these challenges. Leadership changes in Europe has brought about a reticence in politicians to make any new commitment to a larger, more inclusive initiative. By addressing problems merely in relation to the circumstances, the problems get worse and become harder and harder to manage. Precisely, how can we succeed in doing with Africa what the Europeans have failed to do with the Mediterranean? M.A.M. : We haven’t succeeded -but we haven’t completely failed! The Barcelona process simply hasn’t been finalised. Europe didn’t find a solution, changed course and just forgot. It didn’t manage to find the financial resources and turned in on itself. The financial crisis drove it towards introspection, not looking what was going on outside its borders anymore. Everything therefore was exacerbated. By looking at Africa once again, we are restoring the Mediterranean’s centrality. It’s a vital for a new relationship. We can’t go directly to Africa, which is why the Mediterranean appears to us as being a stepping stone between Europe and Africa. M.A.M. : First of all, we need a political will! If the European, Mediterranean and African political class can’t understand that we have to live together, then there’s no point going any further. We need a strategic vision, a historical moment in time, like when Europe was created back in the 50s. Statesmen need to perceive the complexity of the issue and address it with a grand project which we at Ipemed call “the vertical”. We also need to tackle the reals problems. There will be no hope of stability without a settlement of the Israeli-Palestinian conflict or the war in Syria. Moreover, we need to attract capital and therefore set up a new financial institution capable of tackling the lack of venture capital, investment, support for SMEs… The world has changed, Africa’s financial capacity remains limited. Let’s create an economic and social environment that will correct this. We’re facing an emergency! We can’t wait any longer to draw up the vertical project, set it up and get it rolling.